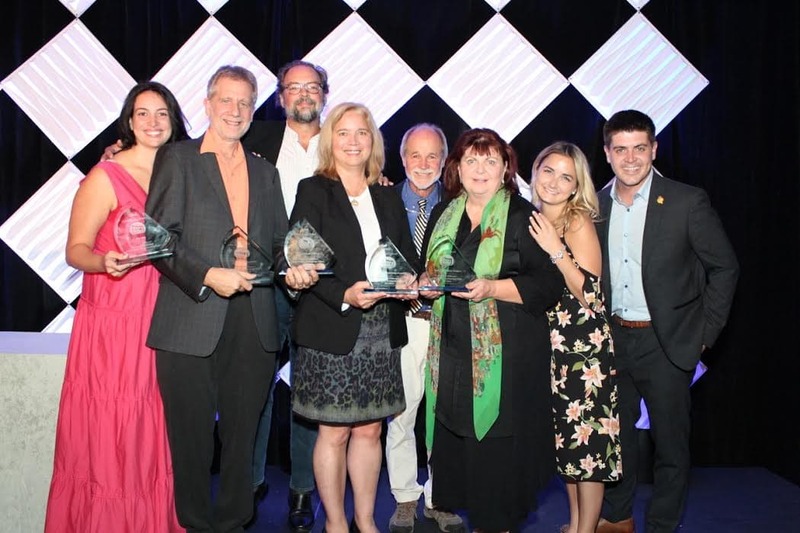 “Big Idea” Marketing Award – It’s not just a movie, it’s a movement. Susan Todd, Michael Male, Wendy MacKeigan, Tory Hines and Tyler Mifflin. Backyard Wilderness tells the story a young girl, and her modern family living next to the suburban woods but who are blind to the real-life spectacle around them, absorbed by an array of electronic devices in their busy lives. Following all four seasons in one backyard, we are transported inside dens and nests and in ponds that uncover the creatures within. We are reminded that Wi-Fi is not the only connection that matters and that in ordinary places, we can discover extraordinary things – if we just step outside. 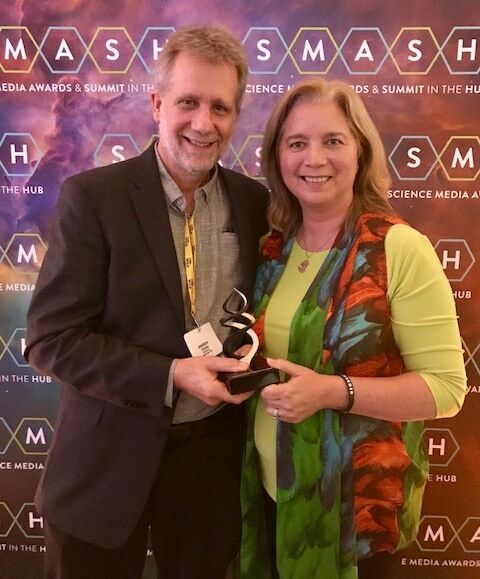 We are also excited to announce Backyard Wilderness took home the Best Engaging Young Scientists Award at the Science Media Awards in Boston last night. Awarded to the project that most effectively communicates science and engages audiences aged 6 – 12. Preliminary judging included middle and high school student panels. 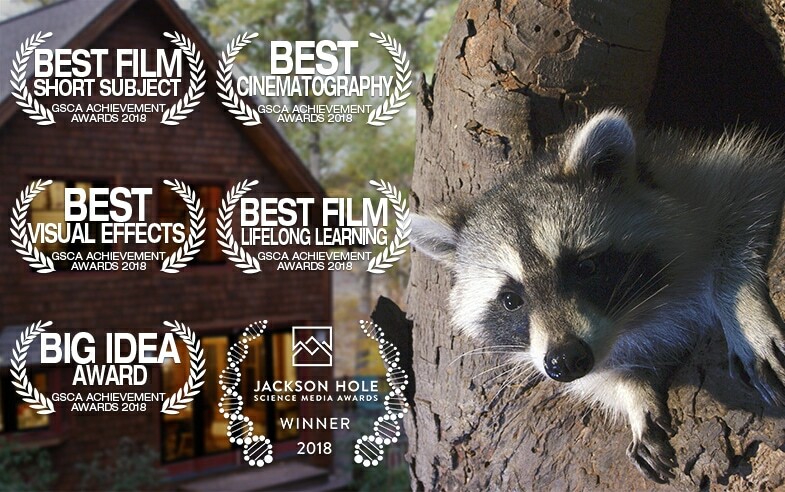 Visit BackyardWildernessFilm.com to discover where the film is playing and download the FREE and extensive educational materials developed by HHMI Tangled Bank Studios. Resources include: an Educators Guide, a Family Guide and SEEK, a unique “kid friendly” version of the highly regarded iNaturalist App, which is specifically designed to engage students to become better naturalists. Available for download in the iTunes store. Andrew Young and Susan Todd at the Science Media Awards in Boston. Archipelago Films is a production company created by Academy Award-nominated, Emmy-Award-winning filmmakers Susan Todd and Andrew Young. Arise Media is the non-profit they formed to make innovative media about the most urgent social and environmental challenges facing the planet, and to inspire a new appreciation for our own interconnected role in nature. With a well-established track record of directing, producing and filming, for television, theatrical and now 3D IMAX®/Giant Screens, Archipelago and Arise aim to bring passionate and entertaining films to global audiences through the highest quality visual storytelling. For more information, please visit www.archipelagofilms.com, www.arisemedia.org. SK Films is proud to have Executive Produced and also to be distributing Backyard Wilderness. SK Films is an award-winning content provider and a global leader in the IMAX®/Giant Screen industry. SK works across various genres and platforms, including theatrical, television and digital media, with a special emphasis on creating high impact natural history and science related content. SK has a reputation as one of the most accomplished and respected producers and distributors supplying 3D, 2D and Dome product to IMAX and other Giant Screen theatres worldwide, with a mission to entertain and inspire audiences and immerse them in the awe and wonder of the world we live in. HHMI Tangled Bank Studios is a production company established and funded by the Howard Hughes Medical Institute (HHMI) as an extension of its longstanding science education mission. Dedicated to the creation of original science documentaries for broadcast, theatrical and digital distribution, the company’s award-winning programs address important contemporary issues and capture compelling stories of discovery across all branches of scientific inquiry. For more information, please visit www.tangledbankstudios.org. Follow us on Twitter, Facebook and Instagram. HHMI is a science philanthropy whose mission is to advance basic biomedical research and science education for the benefit of humanity. The institute is the largest private supporter of science education in the country.